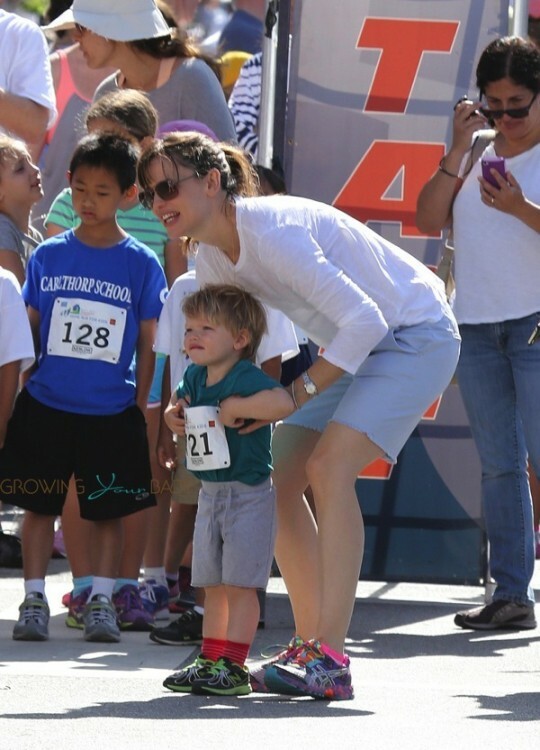 Jennifer Garner spent her Sunday supporting a good cause as she and her kids, Violet, Seraphina and Samuel participated in the 2nd Annual Home Run For Kids 5K/10K Walk/Run, which works to solve family homelessness. Before the event started, a man in a bear suit greeted Jennifer and Samuel, and the actress had some laughs when her little boy ended up clinging on to her leg. 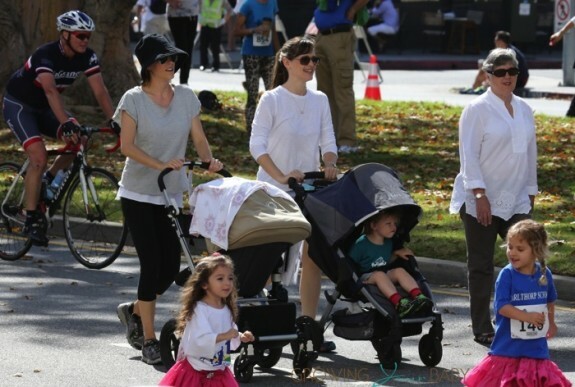 Once the race began, Seraphina and Violet ran as Jennifer walked leisurely with a girl friend while pushing Samuel in his stroller. 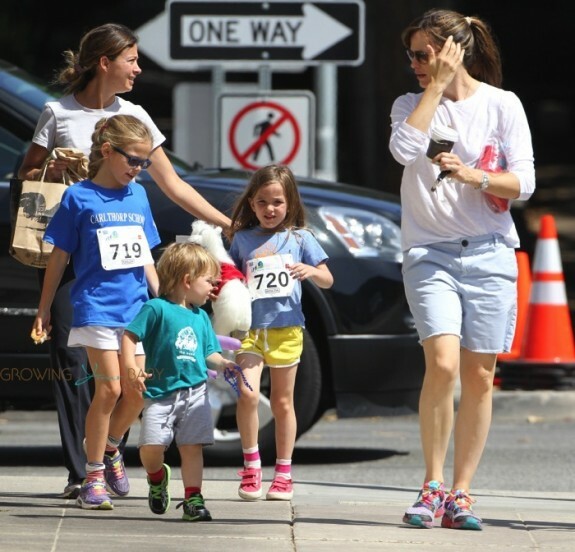 Not along for the charity walk was Jennifer’s husband Ben Affleck. He is reportedly in Detroit Michigan filming ‘Batman vs. Superman‘. He has taken a lot of heat from die hard fans over the role, but promises it’s a good fit. Like many other celebrity couple’s Ben and Jen rotate who works, and who looks after the kids. Jennifer recently completed work on her new film Men, Women & Children and now it’s Ben’s turn!